At the end of each visit I mention the four houses of success, love, health and wealth. Here is a post explaining what they are; what causes them to imbalance; and what to do to correct them. 90% percent of the body is crystalline in structure. This includes all organ systems. The crystalline structure can be changed AT WILL by the Human Mind. 9% of the body is the force field orTehmur about the body—perhaps the aura. This constitutes the mental triune of well-being. 9% caused by spiritual issues. The 90& mental aspects controls both the physical and spiritual. I recommended this book numerous times since studying with Wayne Muller and his organization Bread for the Journey back in the 90’s. I am recommending it again because the #1 problem with most every single one of my patients is STRESS! Americans do not value stess reduction and pay a huge price for not doing so! It has been said it takes 12 years to recover from just 1 year of stress. I am sincerely asking you to read this book and to begin taking one full day off per week and make that day about you. Learn the sacred rythym of rest and understand why Sabbath has existed for millenia. Initially this may be painful – after a few weeks,you will never want to go back. You may think you know what Sabbath means but you really don’t. Read the book! Furthermore, even though you are taking a full day off; you wind up getting more done in the remaining six days; and done with less stress. Eating right hard isn’t it? The best foods are not quite as appetizing or just not readily accessible. After 40 years of deep research on the best “Diet,” (a term I abhor) and sifting through hundreds of scientific papers, reading all the diet books from Atkins to Zone, I have compiled these 12 simple rules for exceptional eating. These rules apply to everyone, particularly those combating cancer. Beyond dieting, these 12 eating rules should rid your psyche of the old way of thinking (i.e. calorie counting) and adopting a new way of thinking – eating real food. Do not eat ANY food with guilt, — bless the food with your mind and ENJOY it! If your grandmother does not or would not recognize the food, it’s probably NOT A FOOD. Spice it up. The health benefits of spices are Mother Nature’s gift to us. **Learn the “art” of using spices and use them readily. If the food takes a long time to spoil or it doesn’t spoil, it’s not good for you. All good food spoils within a relatively short time. Limit sugars, fruit juices and white flour foods as much as Godly possible. Yes fruit juice too. It’s only marginally better than soda. Very few exceptions. If eating MEATS, no problem. Just know that meats are “high stress” proteins meaning they can take up to 12 hours to digest. Best to eat earlier in the day and Best if the animal source was eating their natural diet before it ended up on your plate, e.g. Cattle should eat grass not cornor grains. Chickens which are really birds eat worms not corn feed. Drink 6 to 8 glasses of CLEAN water a day. If eating lots of fruits and vegetables, only 4 to 6 cups a day is needed. Tea also counts. Exclude diets of exclusion; low-fat this, low-carb that, diet this, low sugar that. If you are going to have ice cream, have the real thing. See rule #1. Buy foods from LOCAL FARMS or FARMERS MARKETS (even if it’s not labeled organic) first, then health food stores. Placing bread in the refrigerator may cause nutrients to break down. This applies to “enriched” bread which has been “fortified” with iron, folic acid, B vitamins and bromides. I have mentioned to those of you who are patients there is something incorrect about Omega 3/6/9 essential fatty acids which originate from fish. Back in October, I was introduced to Professor Brian Peskin whose research and scholarship regarding Parent Omega Oils is respectfully outstanding. We need Essential Fatty Acids (EFA’s) but they have to be of the “Parent” variety which is plant based as opposed to what is extracted from dead fish. I am attaching a document from the website about Parent Omega Oils and also how to order them directly. For those of you who have been using the PEO’s since November when I first introduced them into the practice, I encourage you to re-order. Lastly, I have placed the BMI (Body Mass Index) calculator on the homepage of the website. After doing mine, I had to first get over the initial shock, then the depression and now the motivation to do something about it. Please use the BMI calculator as a tool of empowerment to create change. IF YOU DO NOT FIX THE CELL—YOU CANNOT GET WELL! 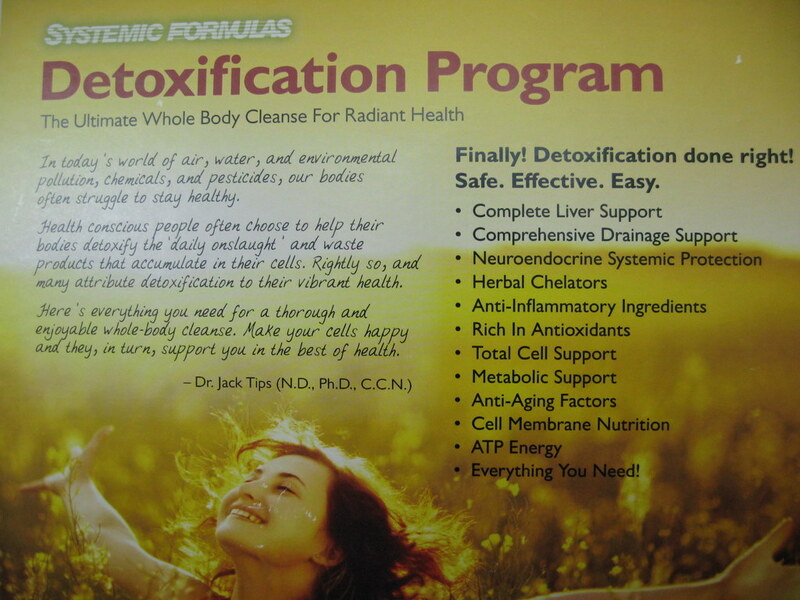 THE BEST DETOX PROGRAM EVER!! 35 and counting! I now have had approximately 35 patients do the above 60 Day Program and I must admit every single one of them has done very well. Recently Dr. Sanjay Gupta did a piece for 60 Minutes on SUGAR. It is one of the most informative pieces on this topic ever done. The link below takes you right to my website and onto the video. I recently added two posts to the website regarding Protein Powders and Protein Sleep Disorders. Coconut playing a HUGE role with many issues such as Alzheimers, The Brainl Thyroid, Weight Loss and on and on. Once on the site please check out the following two links as they may be crucial to your overall future health including our all important BRAIN. Remember you have to eat FAT to lose FAT. and Coconut is a good fat. No GRAINS, NO SUGAR, NO PUFA’s!! The Clown Chakra appears once again to remind us of the need to ENJOY! The statements on this site have not been evaluated by the Food and Drug Administration. Statements or products are to provide information only and not intended to diagnose, treat, cure or prevent any disease. Please seek knowledgable consult (primary care physician, health advisor etc.) before using any new product or protocol.